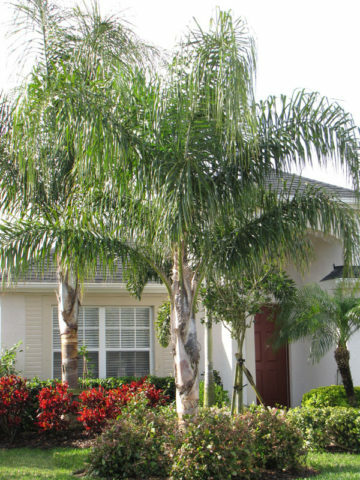 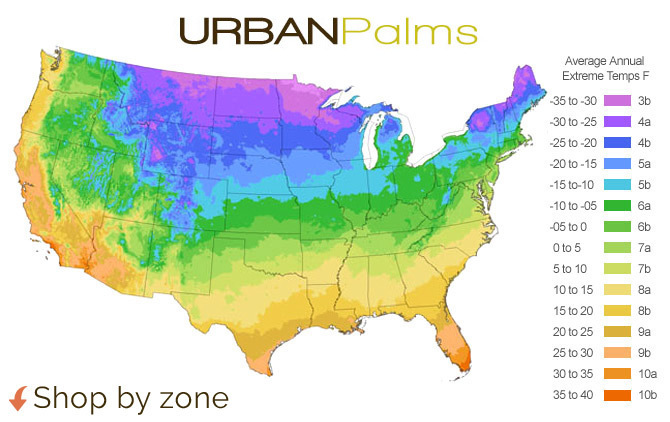 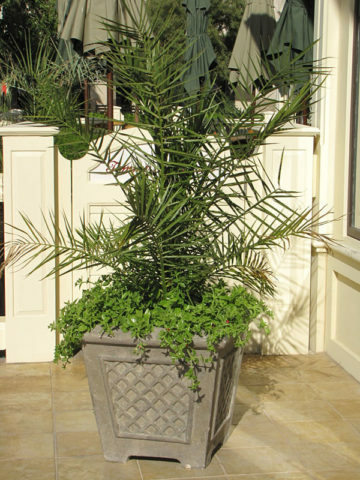 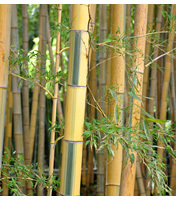 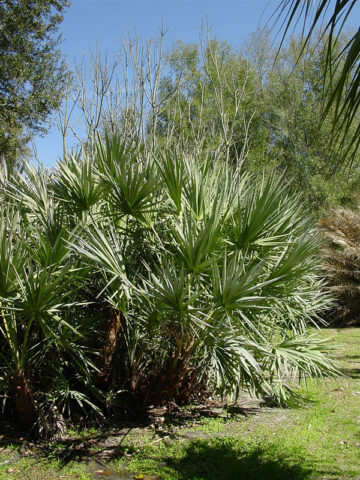 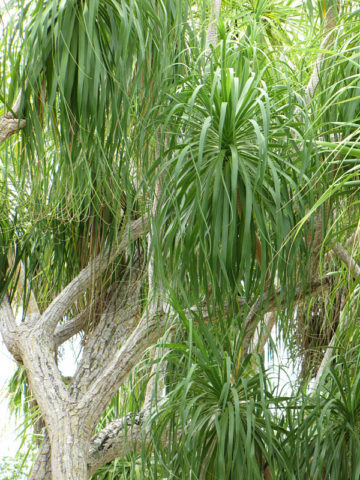 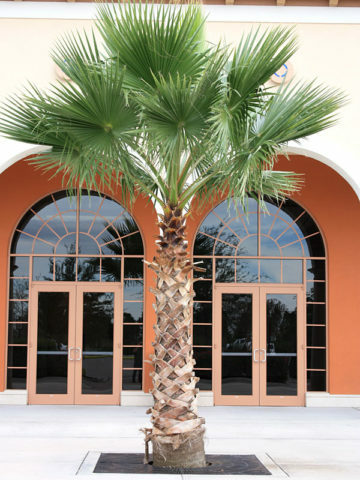 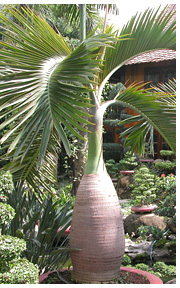 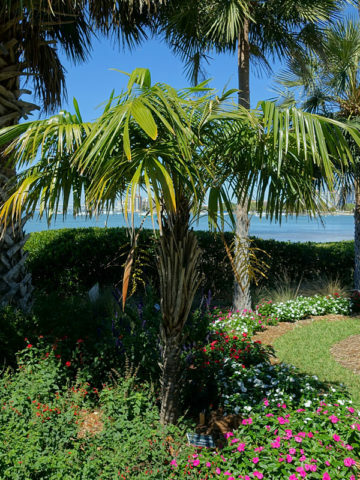 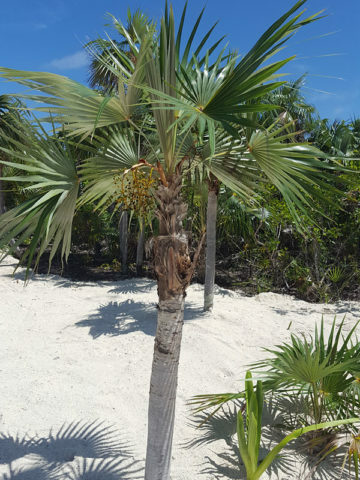 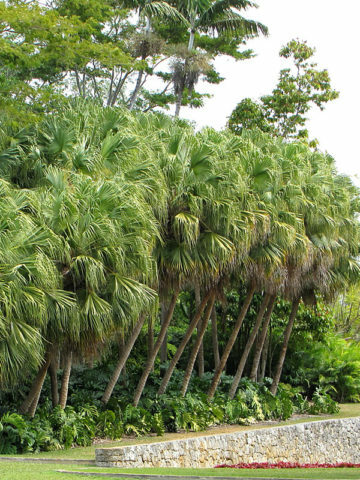 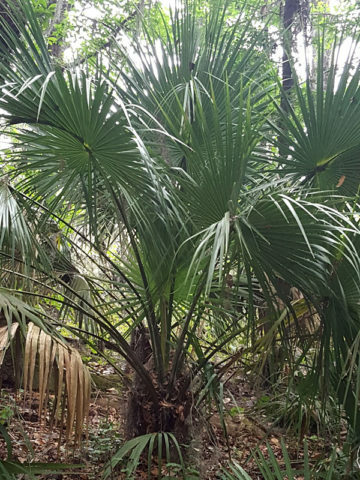 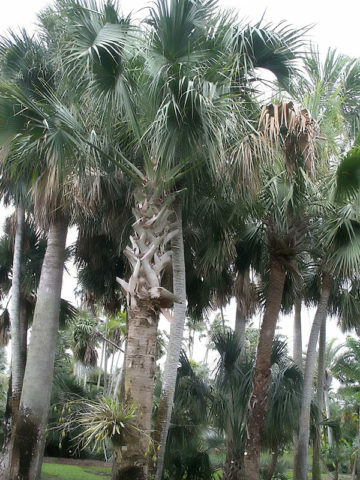 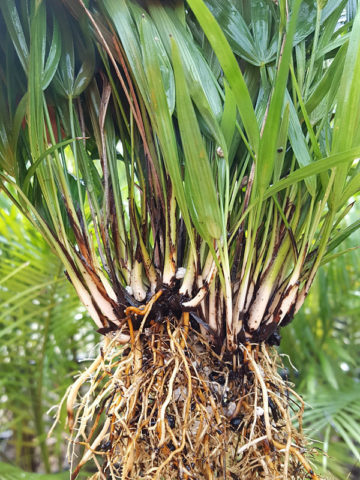 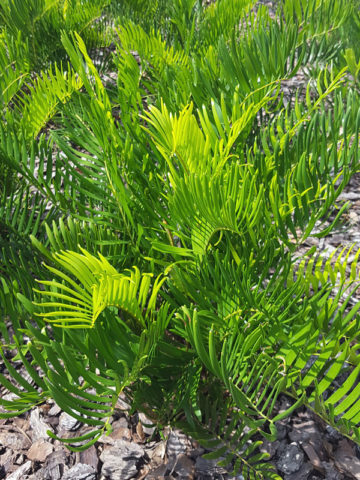 (XL Specimen, 8” Pot) Orderly and ornamental, Muelleri is considered a solitary trunked palm with a maximum height around 30 feet at full maturity and ringed with distinctive sheath scars. 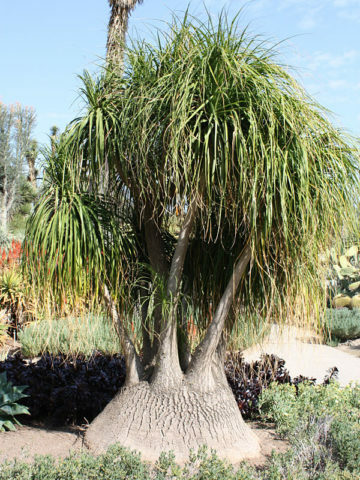 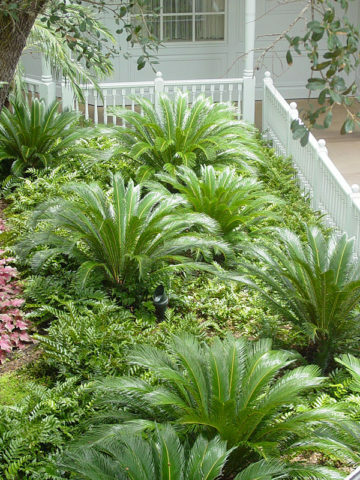 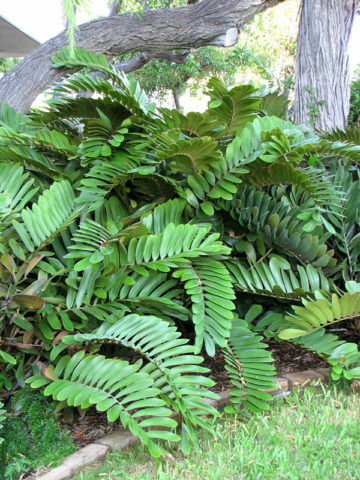 The numerous stiff fan shaped fingered fronds tightly radiate in a fanning cluster atop the trunk. 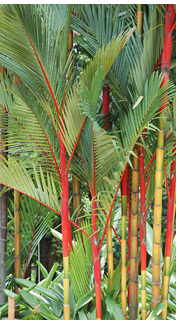 Impressive glowing red inflorescence emerge annually, when to size, in a vibrant display that is sure to astound anyone who views it.